BT is taking legal action against games platform Valve, claiming it has used its technologies without permission. The British telecoms company said it had notified Valve "on multiple occasions" about the infringements, but received no reply. The four patents concern computer and video game platforms, digital distribution services and personalised access to online services and content. The case was filed in the US state of Delaware. Many patent cases are filed there because of its reputation for favouring patent-holders. 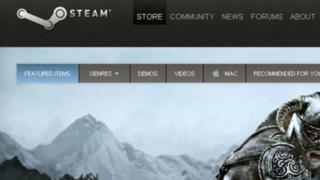 Valve owns Steam, the world's largest digital PC games distribution platform. "BT's constant investment in innovation has seen it develop a large portfolio of patents which are valuable corporate assets, so it is only right that BT protects its investment," said a company spokesman. The technologies and features covered by the patents are widely used by many digital services, including another gaming platform Twitch as well as YouTube. Valve could not be reached for comment. BT has attempted legal action against other companies in the past. It unsuccessfully tried to sue American internet service provider Prodigy in 2002, saying it had invented hyperlinks and was owed royalties. It also tried suing Google in 2011 over patent infringement, resulting in Google counter-suing two years later. Do the patent wars threaten innovation?